Limited time first time float special! If you're looking for a sensory deprivation room ﻿﻿you've come to the right place. Imagine yourself floating effortlessly in absolute tranquility in one of our private float room. The worries of the day are very far away. Every muscle is allowed to gradually relieve it’s functional tensions. Your entire body, including internal organs, muscles and bones will be, for the first time, completely rested and at ease.​ A beautiful silence is experienced and a lightness of being that cannot be felt in any other way unfolds. a feeling that can last for days. ﻿Imagine yourself floating effortlessly in absolute tranquility. ​Is It Right For Me? ​Click below to find out more. 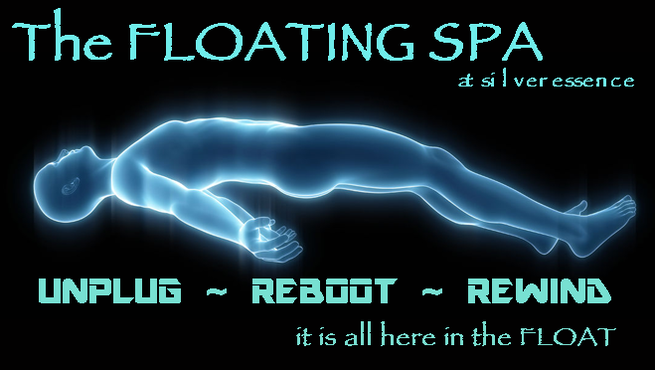 ​ Our First time Floater Special is designed to give you the best first look at floating. 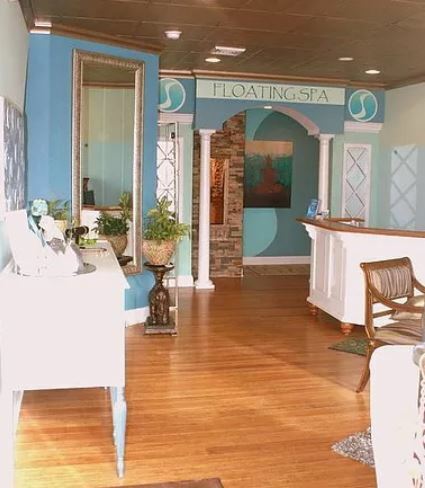 If you've never floated at Silver Essence Floating Spa before, you are eligible and more than welcome to come down! Think of it as a lightless, soundproof room, filled with epsom salt - the water at skin temperature. The best way to experience the benefits is to fully let go and let your spine re-align to its natural position giving you the most comforting feeling you may have ever experienced. One study showed increased activity in the visual cortexes of the individuals who participated while a few more studies found increased creativity in both students & university professors. Think of floating as a vacation from your mind and body, a DIGITAL DETOX. Life is full of noise and constant input with no time to simply lay down and enjoy the present moment. Often times our lives are quite hectic without us even realizing we need to take a second to step back and breathe. Taking a step back from your own mind and realizing that your thoughts don't rule you can encourage or trigger major breakthroughs! Lose yourself in pure pleasure! I Deserve This - Book Now! There is nothing like being fully present in the moment and aware of everything that is happening around you. Imagine being able to watch your thoughts as they enter and instead of reacting, having anxiety, or feeling tense, you can simply let them pass and learn to not let them affect you. My daughter bought me the float for mother's day. I didn't know what to expect. It was amazing. I have an autoimmune disorder and live with constant pain. This was the first time in 15 years that I felt no pain. I will definitely "float" again! Absolutely wonderful. I felt full of energy afterwards!